Jackie Malone has been murdered. Her body lies in a pool of blood in the north London flat where she worked as a prostitute. Deep knife wounds have been gouged into her corpse and her hands and feet are tied with coat hanger wire. For Detective Inspector Jack Delaney this is no ordinary case. He was a friend of Jackie's and she left desperate voicemails just hours before she was killed. Despite no immediate leads and no obvious suspects, the fear in her voice tells him that this was not a random act of violence. 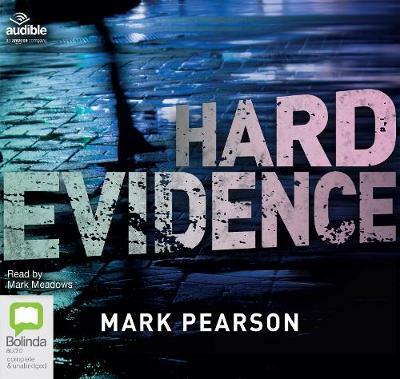 For the last ten years Mark Pearson has worked as a full-time television scriptwriter on a variety of shows for the BBC and ITV, including Doctors, Holby City and The Bill. He lives in Norfolk. He is also the co-writer of Private London, with James Patterson. Mark Meadows is a British actor with extensive theatre, film and TV credits, and is a frequent contributor to plays, musicals, narrations and readings for BBC Radio 3 and Radio 4. He has narrated around 80 audiobook titles and was a nominee for the 2013 Audible Narrator of the Year award. Mark also provided the voice of the ship's computer in Ridley Scott's Prometheus. Audible is a seller and producer of spoken audio entertainment, information, and educational programming on the Internet.